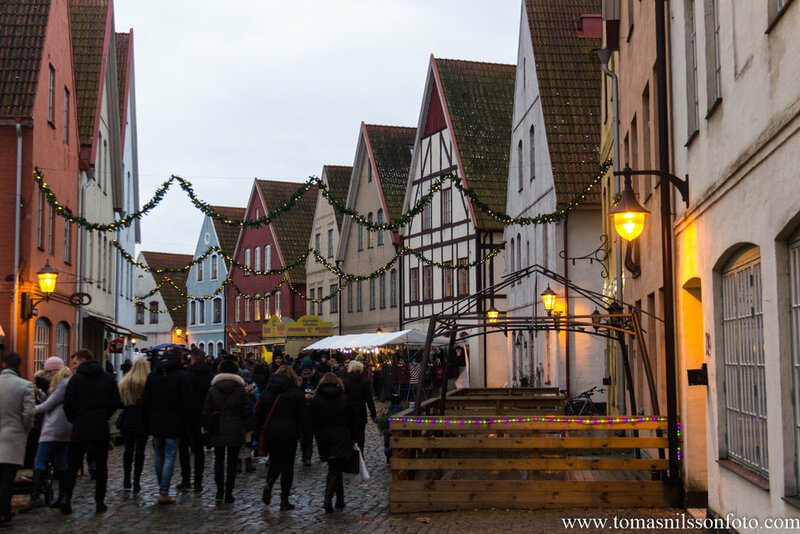 During the month of December (just like in every other part of the world I am sure) there's a tradition for Christmas markets around these parts of southernmost Sweden. I've been to a number of them through the years, and this year I chose the one at Jakriborg, a faux-medieval housing area a short commuter train ride away from Lund. It has a definite North German feel to it with its narrow buildings with steep roofs, even though it was all built in the 1990s.